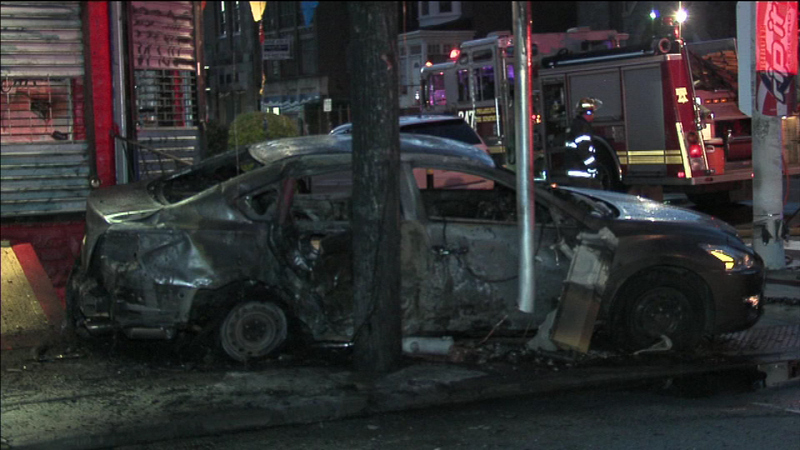 A fiery crash sent two people the hospital and had police knocking on doors to evacuate residents in West Philadelphia. 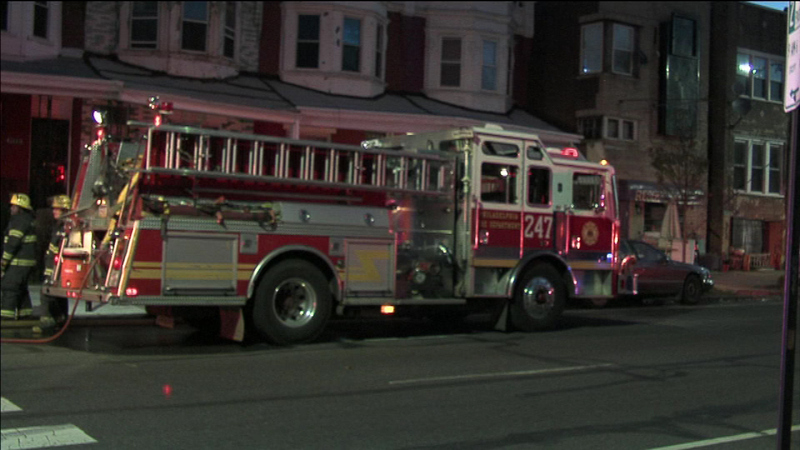 WEST PHILADELPHIA (WPVI) -- A fiery crash sent two people to the hospital and had police knocking on doors to evacuate residents in West Philadelphia. 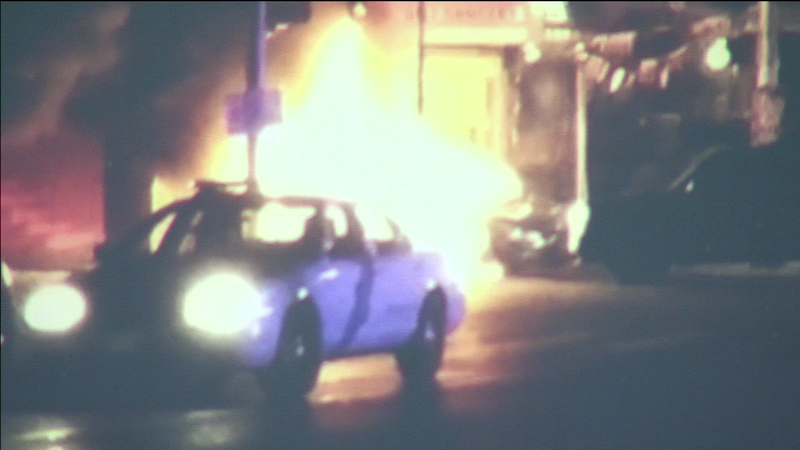 The crash occurred around 6:45 a.m. Sunday at the intersection 53rd and Chestnut streets when two vehicles collided causing one to burst into flames. 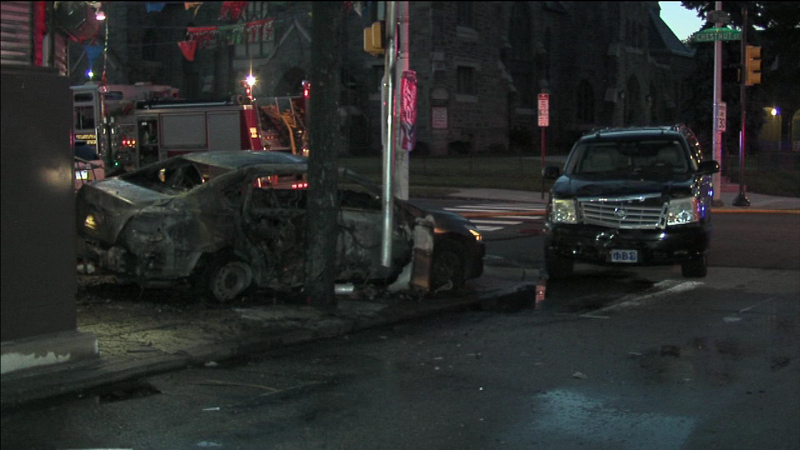 Sources tell Action News the driver of a Cadillac Escalade was traveling at a high rate of speed westbound on Chestnut when he struck another car. 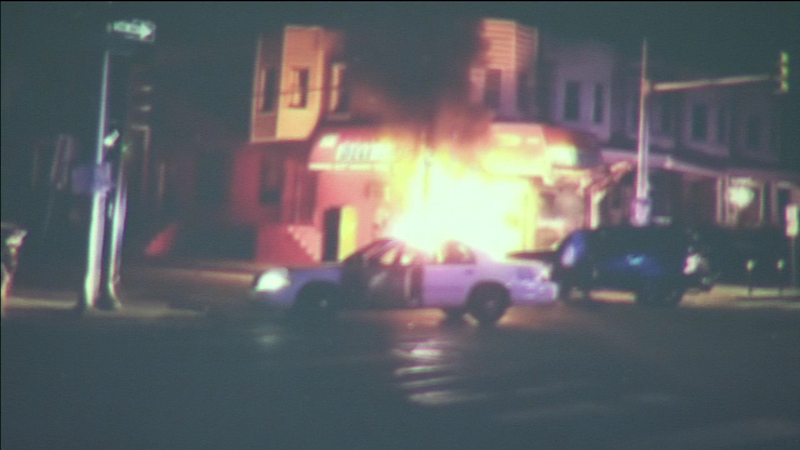 A fiery crash sent two people to the hospital and had police knocking on doors to evacuate residents in West Philadelphia. 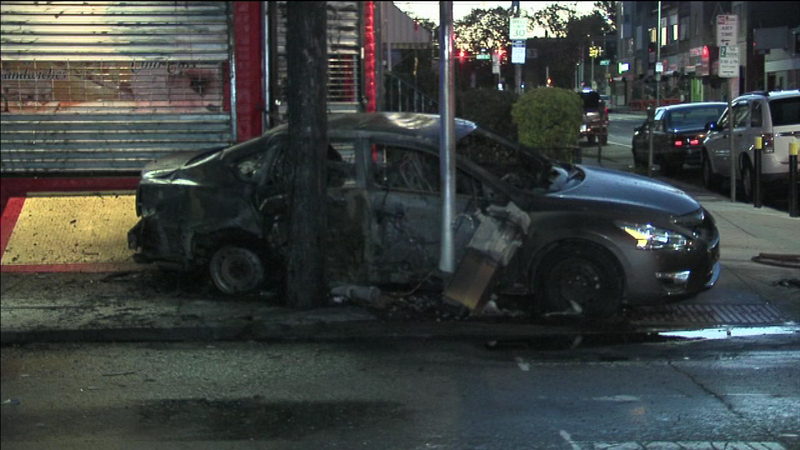 The female driver of that car lost control and crashed into a utility pole, causing the vehicle to catch fire. 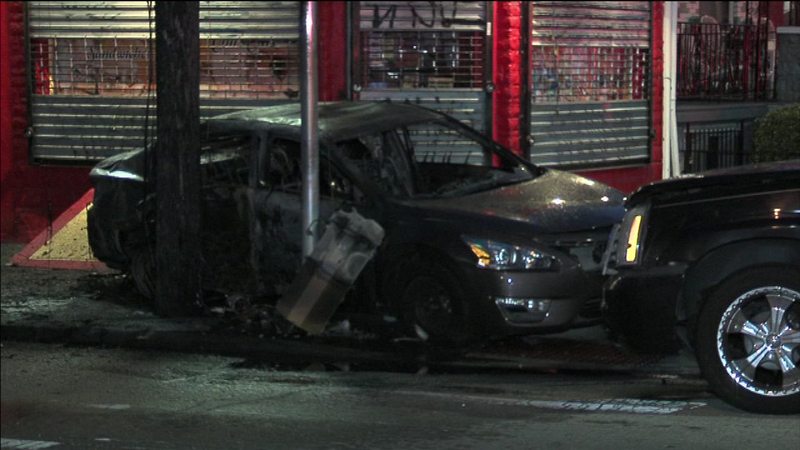 Police tell Action News a man passing by the scene was able to rescue the woman from her burning vehicle. 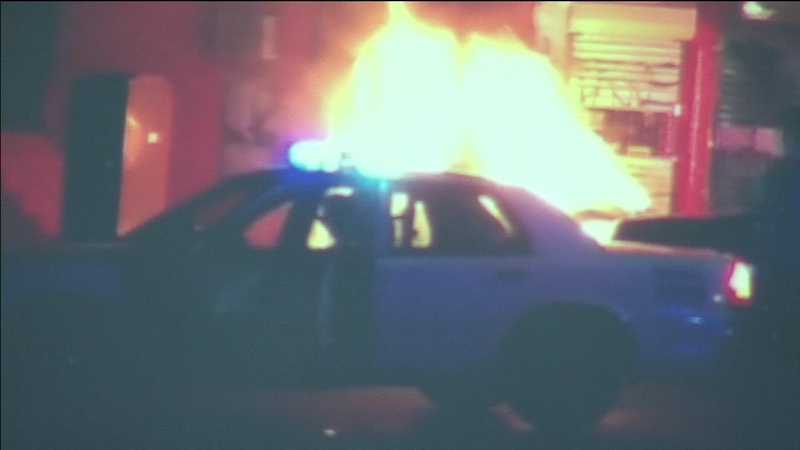 When police arrived, the flames had consumed the car and a nearby utility pole. 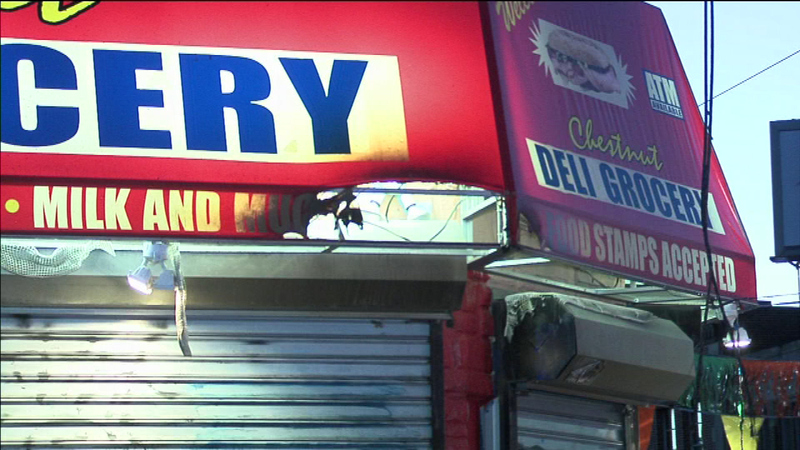 The fire spread to the awning of a nearby grocery store. Fearing the grocery store was going to catch fire, police began to knock on the apartments above the grocery store after seeing children peering out the window. 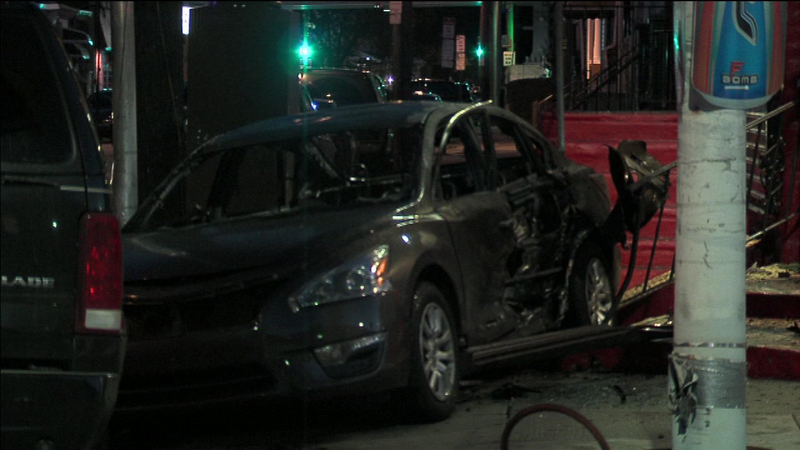 Firefighters soon arrived and were able to extinguish the flames before the grocery store suffered any further damage. Medics transported the woman and the male driver of the Cadillac to Penn Presbyterian Medical Center.